We are a professional event management firm having a dedicated team of youths who are passionate in creating and delivering the best moments. Starting from arranging the perfect venue, sending invitations, decorations, entertainment to catering we do it all. We take all the hassle and bustle of organizing, planning and executing the things to our shoulders and leave you with the leisure to just prepare yourself for the glamorous event coming your way. We offer a wide range of services depending on the needs of the client and have customized our offerings to suit every budget. Rivaaz focuses on maintaining the essence of the event by rejuvenating the memories from the past as we believe in staying intact to our roots. We have all the latest technologies to integrate them into the events and deliver something that not only makes the spectators happy but leaves them spellbound to enjoy the ambience. We have also come up with "Travel Wings", a special service designed to fulfill the commuting needs of the client and the invitees. Our expertise does not restrict us to private parties or an informal family event rather we also cater to the needs of corporate. Be it a big conference, Brand promotion event or an award ceremony, we understand the varied range of complexities and the expectations of the spectators. Our creative team is solely dedicated to creating the unique and unforgettable experience for every invitee by planning everything so unique that was never seen before but sets a benchmark for everyone to copy. We promise to give you value for every single penny spent by you. We proudly say that we don’t love our profession rather we are married to it. 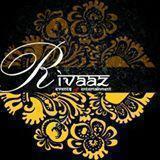 Rivaaz - Events And Entertainment conducts classes in Decorators. It is located in Factory Area, Faridabad. It takes Regular Classes- at the Institute.